When you think of a bricklayer, an electrician or a plumber, does a female employee spring to mind? We all stereotype within the construction industry, but how does it benefit us from a business perspective? Utilising all our talent sourcing is becoming crucial in the competitive marketplace we face today, so why do women only make up 11% of the construction industry? If you were to ask a female about their job aspirations, you would be surprised to hear 'technician' or 'structural engineer' as a reply. This is likely to stem from early childhood experiences setting conventional gender roles in children. Young women then leave school with preset boundaries that are hard to convert. Expectations should be challenged, giving women the opportunity to explore more career options. These gender boundaries, coupled with challenges in pay gaps make the industry less appealing. The government now ask employers with over 250 staff to publish their annual data showing the difference between male and female earnings. Figures reported by CMM showed that the median pay gap in the construction industry is 23.6%. The UK average median pay gap is 9.8%. These figures are not surprising given the industry’s masculine image. To improve this, increasing recruitment campaigns, running apprenticeships and initiatives for females should be a priority for construction companies. The construction industry is lacking in terms of offering an aspiring workplace culture. The traditional and rigid hierarchical structure makes the industry unattractive. Construction companies are trying to change this by improving work flexibility, offering incentives and company perks. A focus on creating an innovative attitude will help the industry to reinvent itself and become attractive to more women. With the right attitude, women can bring new skills and talents to the construction industry, however, it will take an open approach from senior management to start making changes. Addressing the stereotypes and inaccurate perceptions of women in the construction industry will be crucial to overcoming skill gaps in the future of the built environment. 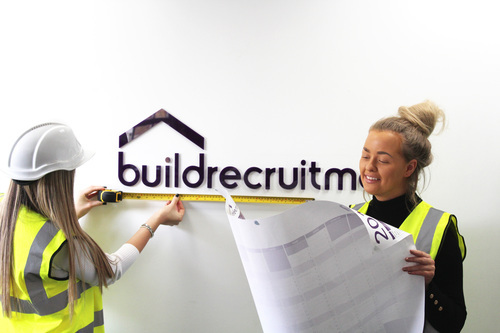 Regardless of gender, if you are looking to further your career in the construction industry, please give us a call on 020 3176 4790 or email us info@buildrec.com.